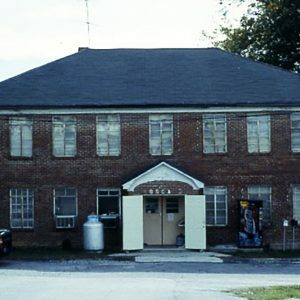 Union Community Hospital served the black community of Union County and nearby areas from 1932 to 1975. Built as a house c. 1915, it was converted into a hospital by Dr. L.W. Long in 1932 with the support of several local churches. Long (1906-1985), a native of Union County, was educated at Howard University and Meharry Medical College before returning to Union and founding this hospital. A lifelong leader in medicine and public health who was also active in civic affairs in Union, Long was named S.C. Doctor of the Year in 1957 and National Doctor of the Year in 1958.